In New York on Thursday copper for delivery in March declined 1% at $2.6410 per pound or $5,822 a tonne despite news of strikes at three mines responsible for some 10% of total global output. Last week copper touched its highest level since June 2015 above $2.72 a pound. At a camp near the mine, protesting workers settled in for the long haul, equipped with stockpiles of gas cylinders, portable cookers and tents to weather the Chilean high desert's scorching sun and frigid nights. Escondida's processing plants, which had begun going offline on Wednesday, are now completely stopped, the union added. Striking workers also blocked roads at the Coloso port, where hundreds of thousands of tonnes of copper are shipped annually. "We are united and strong to make sure this is a success considering the measures the company has taken against its workers," said Claudio Perez, plant worker at the Coloso port. BHP Billiton operates and majority owns the mine with fellow Melbourne diversified giant Rio Tinto. The previous labour deal was signed four years ago when copper was trading around $3.40 a pound. CNBC quotes investment bank Macquarie as saying the Escondida strike could last one to two weeks, cutting global supply by as much as 45,000 tonnes. In its financial results released last week BHP expected full-year production at Escondida of 1.07 million tonnes, which gives the mine a nearly 5% shares of global primary copper production. BHP also cut full year guidance by 40,000 tonnes to 1.62m tonnes. Last week rough seas closed ports in northern Chile which services some of the biggest copper mines in the country for four days. In Indonesia top listed copper producer Freeport McMoRan's Grasberg mine faces a concentrate export ban as it awaits a new licence from the government of the Asian nation and a strike at its smelter. Phoenix-Arizona-based Freeport said in January for each month of delay in obtaining approval to export, the Indonesian subsidiary's share of production is projected to be reduced by approximately 32,000 tonnes of copper and 100,000 ounces of gold. Freeport said consolidated sales volumes from Indonesia mining operations assuming normal operations, including the resumption of concentrate exports in February 2017 and the renewal of its smelters export license are expected to total 590,000 tonnes of copper and 2.2 million ounces of gold for the year 2017. The Las Bambas mine in Peru is also facing outages after communities blocked access roads to the Chinese-owned mine high in the Andes. According to Australia-based operator MMG Annual, output at Las Bambas which started operations only in December 2015, came in excess of 330,000 tonnes last year. Output this year is expected to be above 400,000 tonnes placing the mine in the top five world-wide. In October copper exports from the mine were halted for ten days amid clashes with security forces that left one protestor dead. After a relatively quiet year in 2016 for supply disruptions (there is around a 6% production swing factor in global production of over 20 million tonnes) due to bad weather, labour action and other unforeseen events, 2017 is already off to a bad start. In October copper exports from Las Bambas were halted for ten days amid clashes with security forces that left one protestor dead. Last week rough seas closed ports in northern Chile which services some of the biggest copper mines in the country for four days. The affected ports included Patache, which handles exports of copper concentrates from the giant Collahuasi mine, and Iquique, through which Collahuasi, Teck's Quebrada Blanca and BHP Billiton's Cerro Colorado mines export copper cathode. 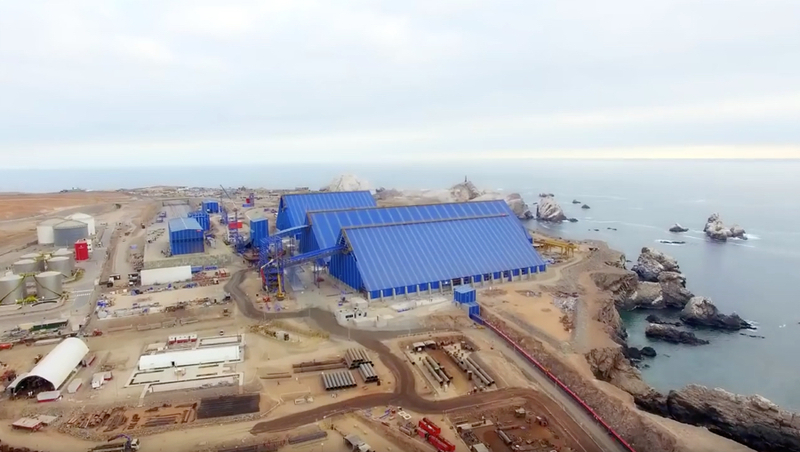 The weather also forced the closure of Mejillones, which handles copper cathodes from many copper mines in the region, including state-owned Codelco and Freeport McMoRan's El Abra. Copper is still trading up 36% from near-six year lows struck January last year. Better prospects for the bellwether metal is nowhere more evident than on derivatives markets and the shift in positioning of large-scale derivatives speculators such as hedge funds. Hedge funds have pushed long positions – bets on higher prices in future – to record heights this year. According to the CFTC's weekly Commitment of Traders data up to January 31 so-called managed money investors have taken net longs to above 100,000 lots for the first time. That's the equivalent of over 2.5 billion pounds or more than 1.1 million tonnes worth around $6.7 billion at today's prices. It shatters the previous peaks achieved mid-2014 when the copper price was above $3.20 a pound and represents the equivalent of $9.8 billion swing from 2016 second quarter net short position (bets that copper can be bought back cheaper in future) of 1.2 billion pounds.